Bay Laurel (laurus nobilis) - Culinary bay. Leaves are used to flavor soups, stews, roasts, and other meat dishes. Aromatic and flavorful leaves are a staple ingredient in french cuisine. 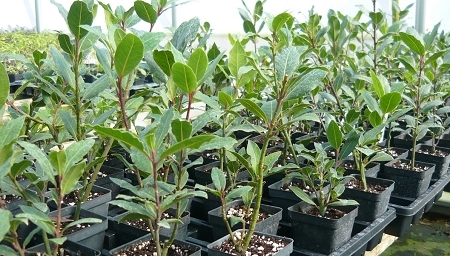 Attractive slow growing tree features dark green glossy leaves and can be grown in a large container indoors near a sunny window. Frost sensitive tree, best in zones 8-11. Live plant in 3 inch container. I ordered this a few weeks back. Its doing great, very healthy plant.